I have such trouble keeping my SUV organized. I keep trying to achieve some sort of system but nothing has worked so far. We have certain items that we have to keep in the vehicle. 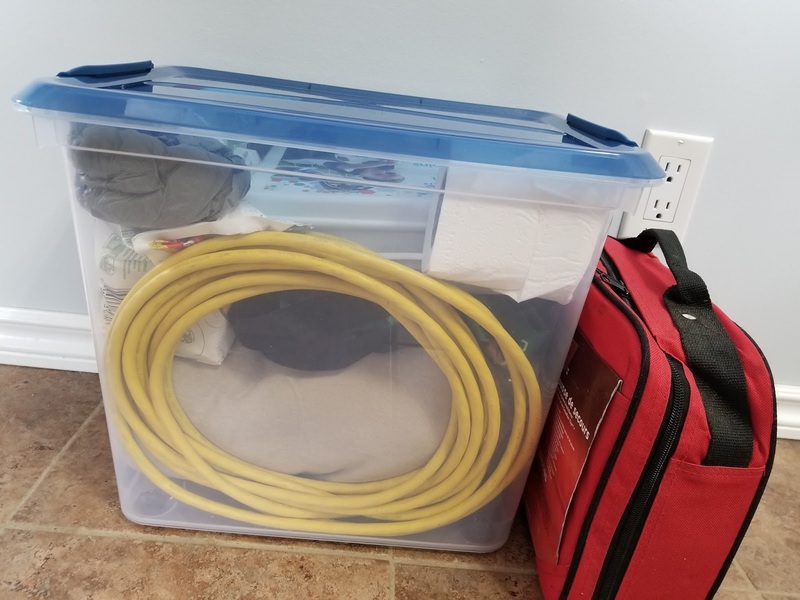 I always have a blanket in case of car trouble, an extension cord so I can plug the Jeep in when it is cold, a first aid kit (because...kids) and a few other odds and ends. I often have the stroller and a potty in the back of the Jeep, so I wanted to find a better way to contain our stuff. My husband was around when I was trying to figure out how to deal with all of this stuff. 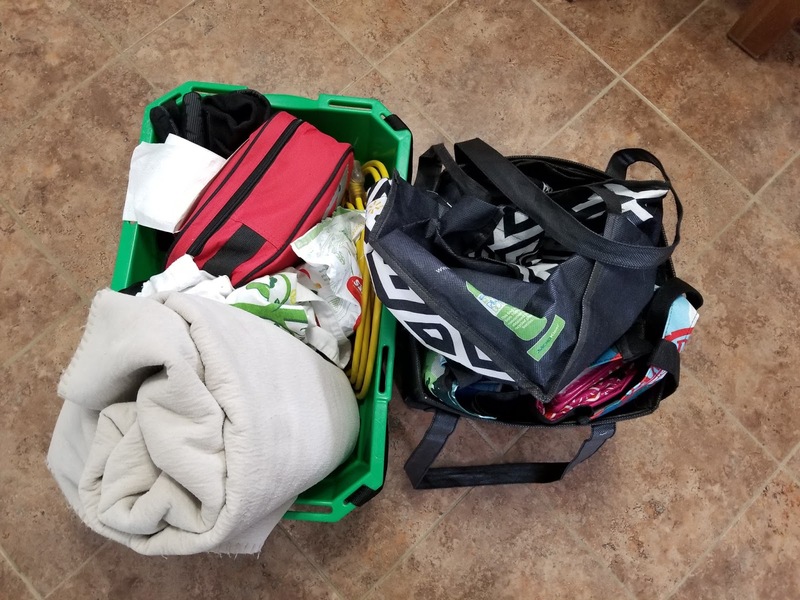 He kindly suggested that we leave the reusable shopping bags in the garage and only haul them along when we are actually going to the grocery store. The shopping bags are often in my way so I agreed. I did stick one shopping bag in the new container, just in case we have an impromptu grocery stop. I chose a container with a locking lid. This will help keep everything in place. The container is also tall and narrow, which will take up less space in the Jeep. The roadside emergency kit doesn't fit in the container, but it does have velcro on the bottom. The velcro helps it stay in one spot and out of the way. I hope that this containment system works out in the real world. I post an update once we have used it for a while. How do you keep your car items organized?